“My Best friend” Art Print with Cocker Spaniel laying in front of a roaring fire. 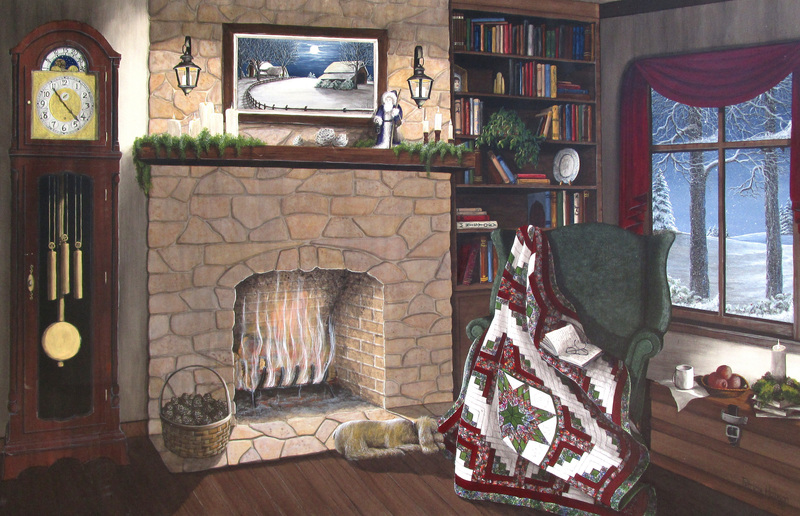 In this cozy art print there is a book, a pair of glasses, and a quilt laying on a chair that is sitting in front of a rock fireplace with a roaring fire. 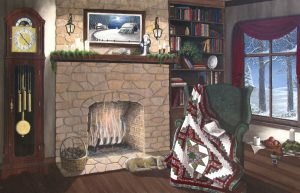 Over the mantel hangs Patricia’s dramatic snow scene painting that was the first Christmas print that she released. To the left of the fireplace is a Grand Father Clock and of course up front is Patricia’s best friend her Cocker Spaniel Elsa May. The image size is 26.5″ X 16.75″ and frames up to approximately 38.25″ X 28.25.” This homey print will make any room of your home feel warm and cozy. Buy Now.